Adland should begin treating the internet giant as a valued business partner rather than a competitor, Tom Bedecarre argues. Google's announcement that it had negotiated a multi-million-euro global advertising buy directly with Heineken has rekindled fears in the ad industry that the internet giant is working to disintermediate agencies from their clients. An upfront buy or global discount structure negotiated with most other media brands would hardly rate attention, but when Google dares to work directly with a client, alarm bells ring in Soho and Madison Avenue. I think it's high time that our industry stops looking at them as competitors and instead works harder to build partnerships with Google and other digital media leaders, including Facebook, Apple, Twitter and Microsoft. It's time to stop calling these companies enemies, or even "frenemies". It's only fair that I admit my own bias towards Google, a company I deeply admire. I was born and raised in the San Francisco Bay Area; attended Stanford University, the birthplace of Silicon Valley; and had the opportunity to meet Larry Page and Sergey Brin back in 1999. 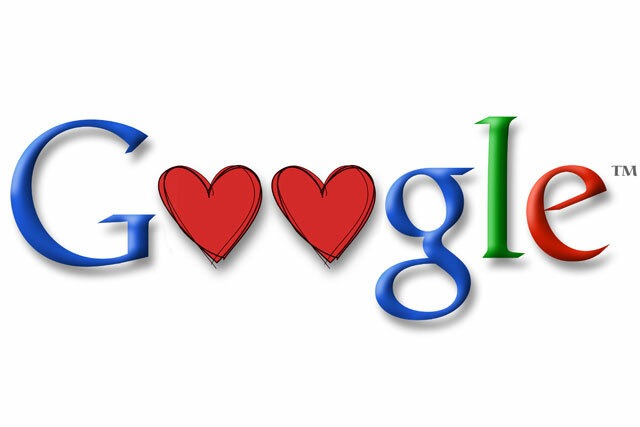 So I have been fortunate to keep a close eye on Google as it has grown up over the past 12 years. In addition, our agency (like most others) works extensively with Google on behalf of our clients. AKQA optimises Google search buys for leading advertisers such as Coca-Cola and Clorox; creates unique YouTube channels for clients such as Visa; plans mobile advertising buys for Gap and Volkswagen on Admob; develops Android apps for Nike and Delta Airlines; analyses Google Analytics for Diageo and Heineken; and serves video ads, rich media and banners on DoubleClick. Google is indispensable to client marketers. And in the interest of full disclosure, AKQA has recently joined a growing roster of leading creative agencies hired by Google to improve its own marketing. By the way, we also work with Yahoo! and LinkedIn, among others. The main reason I embrace Google is that its online products and services are very important to consumers - and, therefore, Google is very important to advertisers. How can we not work closely with the leader in search engine marketing, mobile platforms, mapping and other key online categories? New initiatives such as Google+, Google Wallet, Google Offers and the pending acquisition of Motorola mobile phones are promising new Google products likely to be of interest to my clients - and yours. If one really understands Google as a technology company, then one would understand that Google does not want to compete with ad agencies. Having met Eric Schmidt, Page and Brin, it's easy to see that they are techies with no desire to be Don Draper or Roger Sterling. Google people want to engineer better information solutions, not provide marketing services to clients. I suspect they think our business is more art (yuck!) than science (yeah! ), and Google is clearly interested in being scientists and technologists above all. Certainly, Google has attempted to automate media buying, to bring the same rational algorithms that optimise search engine marketing to other media. Let's not condemn it for trying to bring market forces and technical efficiencies to old-school media buying practices. In my view, Google is working hard to be a better partner for advertising agencies. Just take a look at the leading industry conferences supported by Google. Look at the team of agency relation managers Google is hiring. Look at the new and improved services that Google is launching to support our efforts to help clients navigate the complex digital media landscape. And if you look at the recent Cannes Lions results, Google led all advertisers with six golds and a Cyber Grand Prix. So it's clear that Google is learning more about the advertising industry - as we are learning more about Google. We can't stop the future - we need to embrace it. Google represents the future and it's ridiculous to think that fear and name-calling will blunt the inexorable shift to digital media or slow Google's success. Figures released recently demonstrate Google's strong momentum, with revenue rising to $9 billion in the second quarter alone. Our industry must redirect its focus from traditional media centres in London and New York and increasingly look West to Silicon Valley. It's time for agency and client leaders to stop worrying and get on a plane to San Francisco to sit down and work more closely with Google and the rest of the new-media companies. I worry much more that the geeks and engineers of Silicon Valley don't get what we do and don't understand what service we provide to advertisers than that we will be competing with them for clients. These companies are technology innovators, but they still have a lot to learn from us about crafting marketing campaigns for clients. It's time to recognise that these companies are our new media partners - not our new competitors. Tom Bedecarre is the chief executive of AKQA. What did adland learn on its school trip to California?